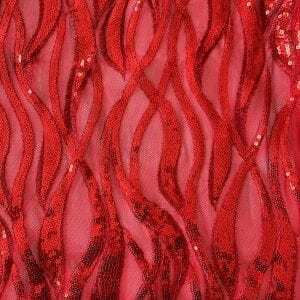 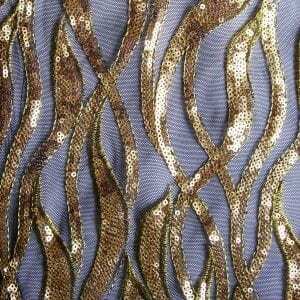 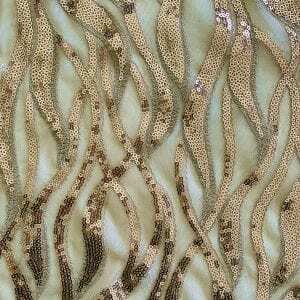 From King Tut to The King of Pop, sequins have adorned clothing and home decor for centuries. 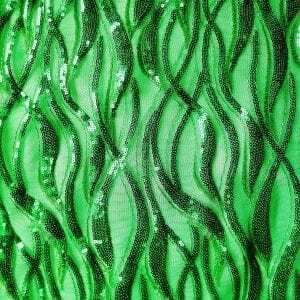 Made of everything from actual gold coins (heavy) to gelatin (they tended to melt) and more recently plastic, sequins started out as a symbol of great wealth but are now used for a variety of purposes. Exquisite, unique and eye-catching, sequins sparkle like no other! 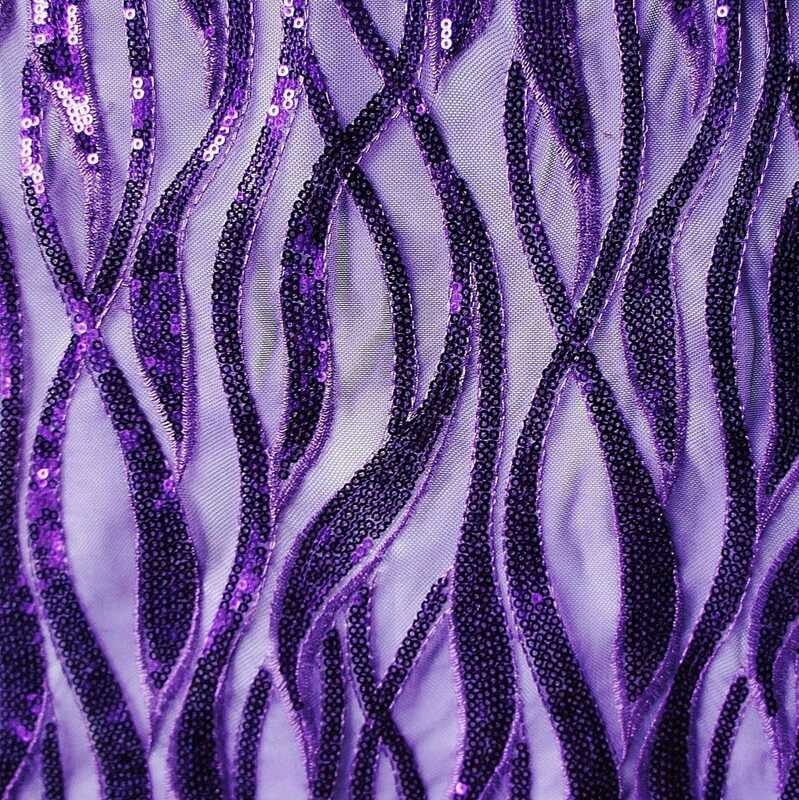 Admire Purple/Purple Sequin Mesh Fabric features wavy stripes of purple sequins on purple stretch mesh base fabric for a glamorous look! 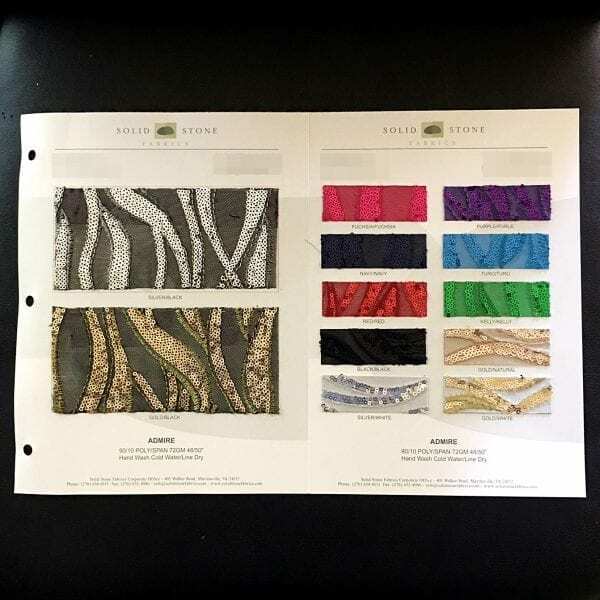 Premium stretch and recovery and excellent draping characteristics makes it an ideal fabric choice for both tight and loose fitting garments. 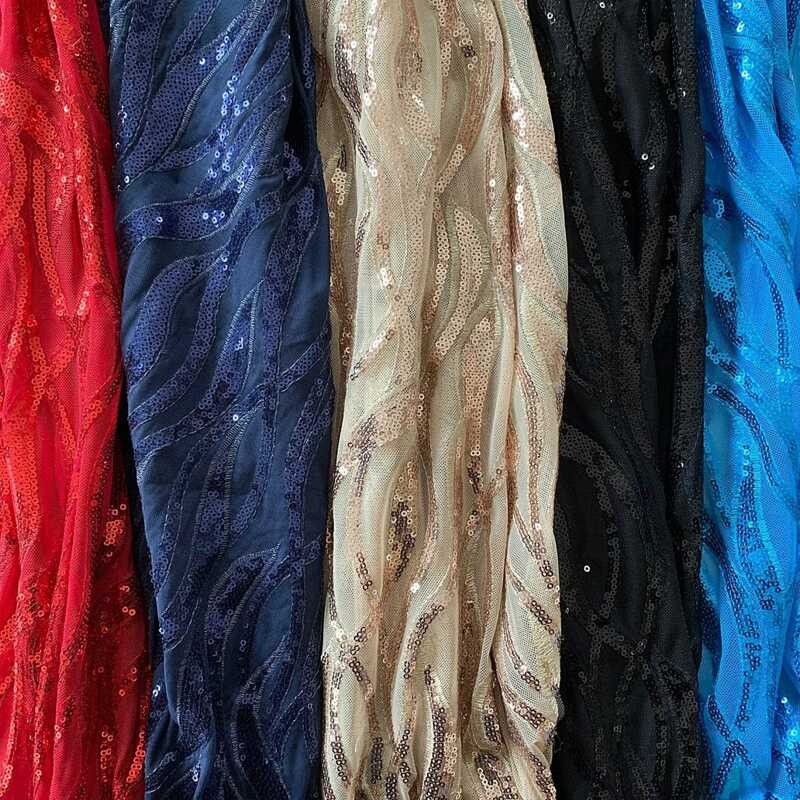 Especially radiant when combined with motion and light. 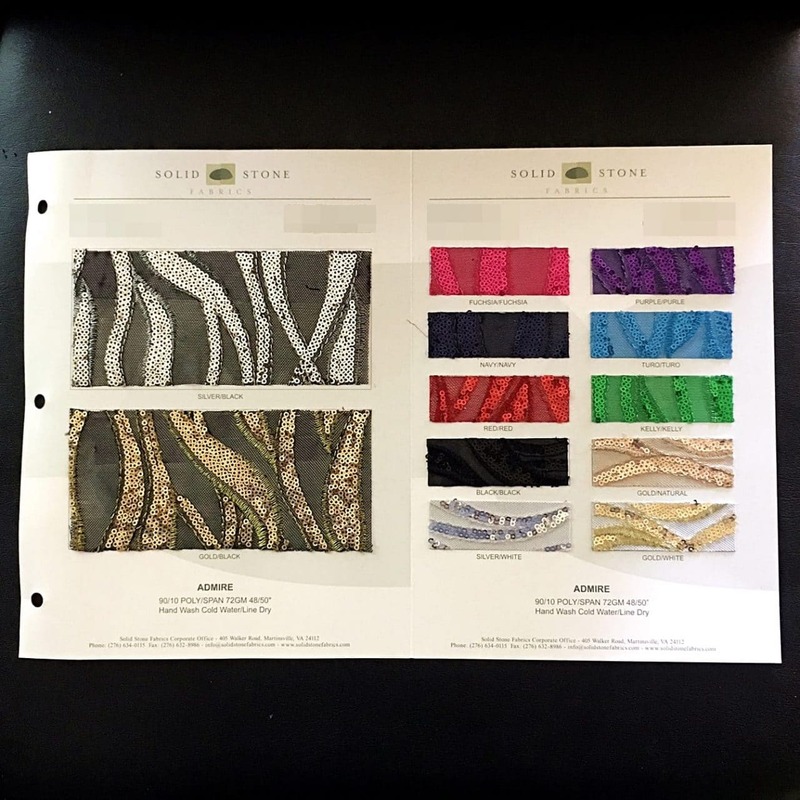 Perfect for dance wear, cheer, cheer bows, color guard, band, recital, gymnastics, figure skating, costume, cosplay, aesthetic only swimwear, formal wear and anytime you need a dramatic, elegant look with a lot of sparkle.